Mediation is a voluntary, informal process where a neutral third party, the mediator, assists opposing parties by helping them come together and try to reach a mutually acceptable agreement for their dispute. What are the benefits of mediations? There are many benefits to the mediation process. In fact, more and more courts are encouraging parties to attend mediation in an attempt to work out a solution before they proceed with litigation. And in some cases, Tennessee law actually requires the parties to attend mediation (e.g. A divorce proceeding where minor children are involved). A few of the benefits of mediation are listed below. 1. First of all, mediation allows for the parties to be in control. Basically, it is the parties themselves, with the help of the mediator, who actually work together and try to resolve their case in an informal process. In other words, mediation allows for you, one of the parties in a pending litigation case, to try to find a solution to your own case instead of giving that power over to a judge, who may or may not give you an outcome that you may be happy with. Of course, each situation varies case to case, depending largely on the parties’ needs and the mediator’s style. If one or both parties come into mediation without the desire to try to work out some of their differences, then the mediation process is unlikely to succeed. However, if all parties are willing to hear one another’s position, then the mediator can assist them in thinking of ways to “think outside the box” and come up with a mutually beneficial solution. Also, mediation allows for each party to finally be heard! Yes, you read that correctly. In litigation, parties are often encouraged to remain silent and allow their attorneys to do the talking for them. But that is not the case in mediation. In the mediation process, the mediator will encourage the parties to speak out, which will allow each side to hear the other’s position, identify what is important to each party, and, hopefully, allow the participants to feel that their needs are being acknowledged. 2. Mediation is voluntary and non-binding. The emphasis in mediation is on finding a solution satisfactory to all parties. However, if the parties cannot reach an acceptable settlement, they can walk away from the process and pursue litigation or arbitration. So why mediate in the first place if there is a chance that a resolution can’t be reach? Well, for one thing, the parties can narrow down the issues through mediation. In other words, mediation may assist parties to identify and verbalize what they actually care about. children. The wife may argue that she should get the children, since she had stayed home to raise them, while the husband may argue that he should get the children because he works and is financially able to provide for them. However, as the mediation process continues, both sides may be begin to realize that there are other needs that are important to each party but had not yet been said aloud. For the wife, she may want validation for the fact that she sacrificed her opportunity to work in favor of watching over the children, as well as acknowledgement that being a stay-at-home mother was an important role, even though she never received money for it. The husband, on the other hand, finds that he wants validation for the hours of time that he spent working to provide for his family. Further, he may acknowledge that he feels cheated because he wasn’t able to spend as much time with his children as the wife was due to his work obligations, and he is driven by a desire to spend as much time with his children as possible. Suddenly, the parties find that they basically want the same thing; acknowledgment for what they contributed to both the marriage and to the family. However, they would not have been able to come to this realization had they not had the opportunity to speak to one another and allow the mediator to help identify some emotional needs that they were not even aware of. Does this realization help the parties reach a full agreement on child custody? Not necessarily, but at least both sides are able to walk away from mediation with a better understanding of their own goals and that of the other party. Further, even if the parties can’t reach a full agreement, they may find that they agree on some points and enter into a partial agreement and narrow down the issues that remain to be litigated in court. Another important thing about mediation is that it is non-binding. Should the parties reach an agreement, but one side decides to change his or her mind prior to the agreement being finalized, then they are allowed to do so. 3. Mediation can save time and money and avoid the emotional cost of litigation. Many of the judges in our area have heavy case loads. That means that your case is one of many that the courts have to deal with. This translates to months of discovery, the exchange of contentious pre-trial motions, and, finally, an expensive trial. And that translates to several days of missing work to sit in a courtroom waiting for your case to be heard. And if losing work time isn’t bad enough, there is also the stress involved if one finds themselves a part of a case. Most parties involved in litigation never dreamed that it could cost so much or that it would exact a heavy emotional toll. Often, many people are surprised to discover that they go to bed thinking about the case and then eat breakfast silently fuming that the dispute is taking so long to resolve. consuming than litigation, which can allow for a swifter settlement. Further, the mediation process encourages problem solving and cooperation between the parties, which may allow them to fashion a solution together in a far less adversarial way. What are my qualifications as a mediator? While pursuing my Juris Doctorate degree at Appalachian School of Law in Grundy, Virginia, I had the privilege of taking two semesters of arbitration and mediation instruction of Professor Paula Young, who is listed as one of the recognized trainers under Tennessee Supreme Court Rule 31 for Civil Mediation. While still a student, I completed one hundred and twenty (120) hours of mediation training, which allowed me to graduate with an Attorney as Problem Solver Certificate from Appalachian School of Law in 2007. 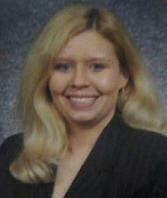 In October of 2012, I was approved as a Rule 31 Listed Mediator in the area of Civil Law. This allows me to mediate case in many areas of litigation which include, but are not limited to, disputes over estates, cases involving accidental injury, conflicts between neighbors, contract disputes, and even lawsuits between an employer and an employee. Also in October 2012, I attended a Family Mediation Crossover Training Course in Knoxville Tennessee, which was taught by Ms. Jean Munroe, a mediator and is also a trainer listed under Tennessee Supreme Court Rule 31. Under her tutelage, I received thirty (30) additional hours of mediation training, this time with the focus being in family law. Once I completed my training, I was approved as a Rule 31 Listed Mediator for General Family Law, which allows me to mediate cases that include, but are not limited to, divorces that include dispute on how to divide the marital property, disputes involving child custody and child support, and other situations that arise from the dissolution of a marriage. As of January 24, 2013, I am a Tennessee Supreme Court Rule 31 Listed Mediator in both General Civil Law and General Family Law with at least one hundred and fifty (150) total hours of mediation training. Why should you consider me when choosing someone to mediate your case? My goal as a mediator is to provide the highest quality mediation services for local courts, parties, and attorneys in the most cost-effective manner possible. My service as a mediator is to help the discussions between the participants remain focused and productive. My training is such that I am able to help the parties define and understand the issues, understand each party’s interests and needs, and help recognize the shared interests of the parties. As a mediator, I encourage the parties to express their feelings and engage in creative problem solving. I also strive to defuse hostile attitudes and remedy miscommunications. By doing so, I am able to assist the parties eliminate extreme negotiating positions and work together to come up with a solution to avoid costly and lengthy litigation. Finally, and most importantly, I truly believe in the benefits of mediation and advocate it as a means to save parties time and money on a case, as well as mitigate any stress or hostility in the future. As an attorney, I understand what a powerful tool negotiation can be, as well as the need to have a voice in the process. Thus, I encourage the use of mediation whenever possible.